The Grand Celebration offers affordable cruises to the Bahamas that everyone can afford. Families or retirees on a budget can both enjoy the fun of a cruise with a low cost operator like Royal Seas Cruises. When was the last time you took a vacation? If you pose this question to a large percentage of Americans, they would have to shrug and say, 'well, not this year.' Some would have a hard time recalling just when they took their last family holiday. It's a sad reality and it's different than in most other parts of the developed world, where mandated three, four and even five paid weeks of vacation is standard. Not in the US. The facts revealed in recent surveys point to how badly we all need time off. In 2015, Americans left 658 million days of vacation time unused. 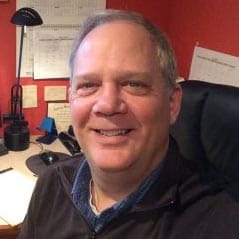 A staggering two-hundred-twenty-two million of those days were paid time off that could not be used in any way once surrendered, including being paid out or rolled over! That means Americans simply gave over $61 billion dollars in paid time off back to their employers. Unfortunately, the trend is only projected to grow more in the coming years. There are many theories on why US Citizens are reluctant to take time off, and one indicates that it may be partly due to the rising costs of vacations. Are vacations so costly that people would rather give away paid vacation days than use them? Consider the fact that Disney vacations now cost a thousand to two thousand dollars a day. That's well over the weekly salary of middle-class Americans. A weeklong vacation at Disney theme parks costs almost two months’ worth of wages. No wonder then that families can’t afford to travel and take time off! The big question we should be asking is why vacation prices are soaring. 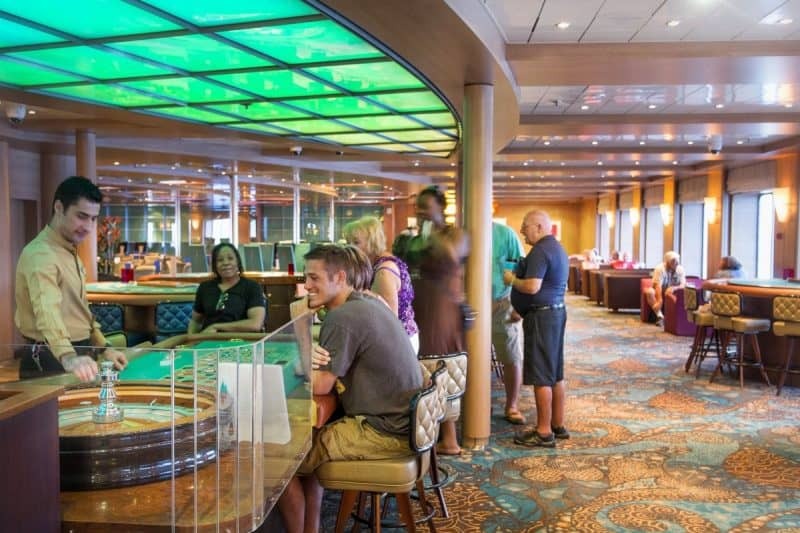 Casinos on board are a treat for many cruisers, something for mom and dad and a great big pool for the kids. Could it be the Chinese? Many attribute the rising cost of holidays to the influx of Chinese tourists to the US. In 2015, tourism from China was up by 18%, and Chinese tourists accounted for $30.1 billion in tourism revenue in America. China is well established as this country’s largest market for tourism and travel exports. In most heavily-traveled countries, there is no group that is increasing their yearly spending more than those from China. As a result, theme parks, hotels, and cruise lines in the US are hiking prices to cash in on the boom from overseas. From 2015 to 2021, visitors from China to the United States are expected to double from 2.6 million to almost 6 million. 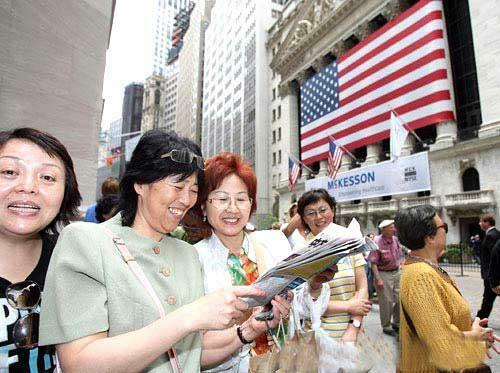 Chinese tourists discovering New York City. With tourism increasing rapidly, and Chinese tourists willing to spend over $30 billion a year visiting the U.S., there’s a big push to cater to Chinese tourists and show them America wants them here. Chinese visitors are different from the typical American traveler, according to many in the tourism business. For example, a VP at Enterprise Rent-a-car said that when the Chinese rent cars, they want only the top of the line, and usually go for every possible add-on, from the extra insurance to the GPS, to the vehicle upgrades. Who wouldn't want more customers like that? The cost of Chinese translators, amenities like teapots in hotel rooms and modified restaurant menus aimed at the Chinese market, and a general awareness that this is where the money is, has resulted in increased costs for many tourist destinations. Whatever your age, a cruise is a great way to get a whole lot out of a little money. These additions mean hotels and attractions are putting out more dollars, and that translates into a need for more revenue. Chinese tourism gives many stateside venues the ability to raise rates, even if they aren’t catering to the Chinese. The hike in prices is justified because they’re keeping up with industry standards. 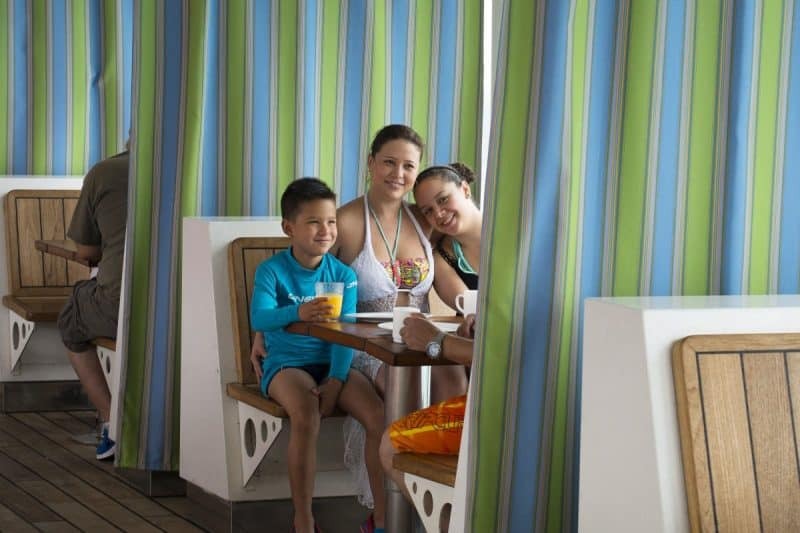 With costs to popular places like Disney World on the rise, cruises have become an oasis for families who just want something they can afford. One cruise line that's made a big splash for their affordable, shorter cruises is Royal Seas Cruises, which caters to less affluent, but still, provides the amenities and fun that vacationers expect on a cruise ship. Swimming in the pool on the Grand Celebration, on a cruise to the Bahamas. One mother of two from New Jersey said, "the staff, the rooms, the accommodations, the food, the spectacular scenery, the excursions... you can't say enough about it and it's so reasonably priced that just about anybody could really afford it." 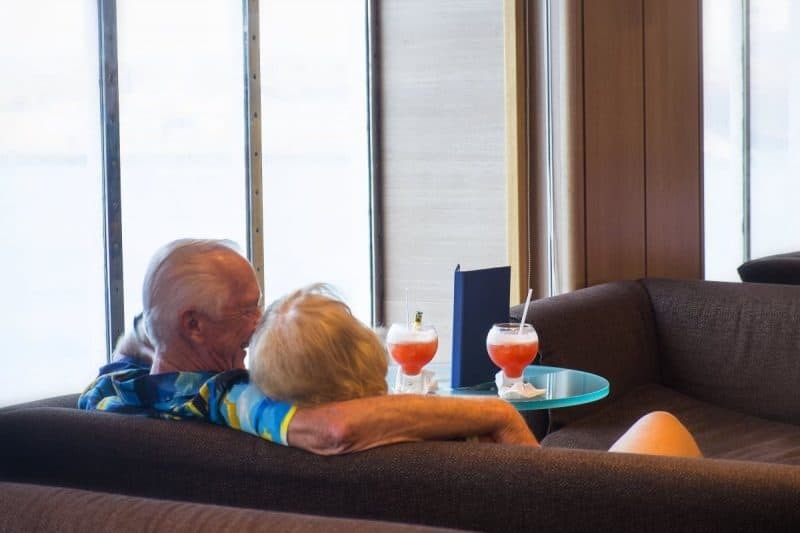 A senior couple also had good things to say about Royal Sea's Bahama island cruises: "We're New Yorkers. We're hard to please, but this is our second evening on the Grand Celebration, and so far it's very, very nice. We're pleasantly surprised. It's been great, absolutely great! Whatever you want, whatever you need, they're here all the time." "For me, the Bahamian people have something special about them. My big surprise is that there are activities for everybody, it's kind of amazing. We did a little snorkeling, saw some big turtles. We like to gamble so the casinos have been very good too." 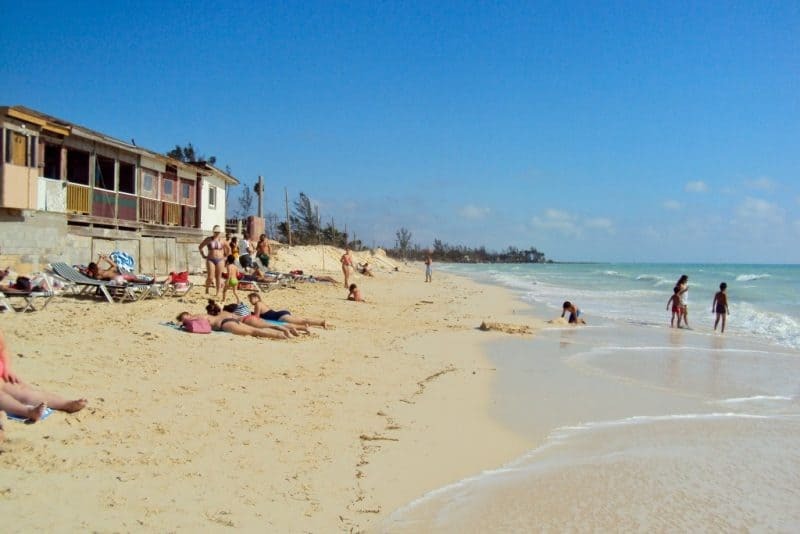 The pretty beach in the Bahamas where the cruise ship brings passengers. ustacarryon.com photo. "We went to the Bahamas and stayed there for a week, and now we're back on the ship going home and it's just been smooth sailing. It's been fun. Karen at the grocery store was pretty nice. Went to the bonfire which was fun and there was really good food." "We've had excellent service since we've been here. 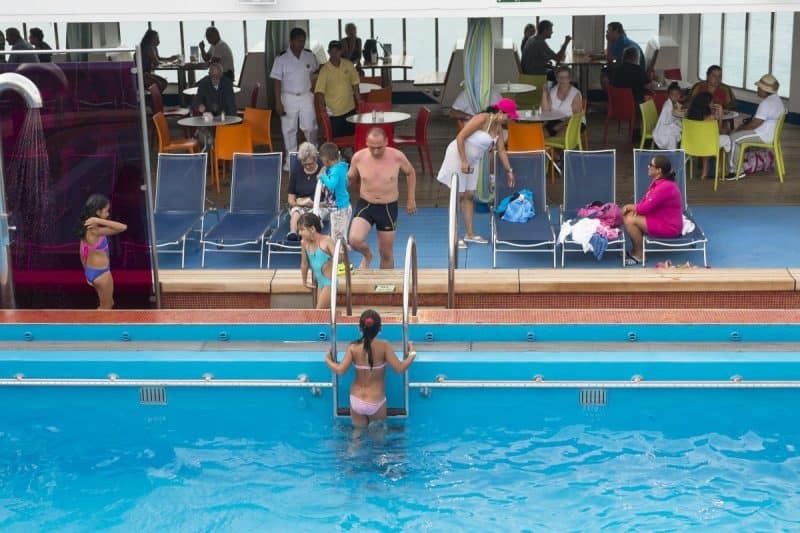 There are lots of things to do on this ship; if you're into gambling, you can gamble, the food is excellent, the pool has all kinds of activities for adults and for children. This is the best bang for our buck for vacation." "I would definitely recommend Grand Celebration to anybody else who's thinking about of going on a cruise. Grand Celebration is the one to do. If you want to go on a cruise, this is the place to be.. this is the best place to be." This story was sponsored by Royal Sea Cruises but the opinions are the author's own.